Boko Haram attacked a village in northern Cameroon early Sunday, killing three people and staging its largest kidnapping yet in the country, the information minister said, adding that some of the hostages were children. In a separate attack in Nigeria, a suicide bomber killed four people and injured 35 others in the northeast town of Potiskum, according to a Nigerian media outlet. The Cameroon attack occurred in Mabass village, in the Far North region, Issa Tchiroma Bakary said. He said 80 houses were destroyed and “between 30 and 50” people were believed to have been abducted. The attacks in Nigeria and Cameroon highlight the growing regional threat posed by Boko Haram. The attacks occurred three days after Cameroon President Paul Biya announced Chad would send “an important contingent” to support Cameroon’s army as it tries to repel the extremists’ intensifying offensive. On Sunday, Chadian troops began arriving in Cameroon, heading straight to the north, Cameroon’s information minister said. Thousands of demonstrators took to the streets of Chad’s capital, N’Djamena, on Saturday to support the deployment, according to an article posted on the official website of Chad’s presidency. 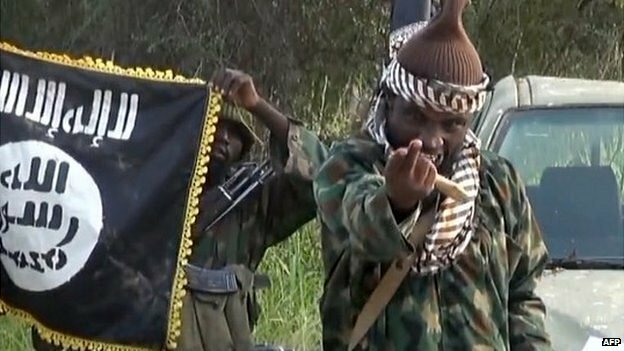 Boko Haram has been recruiting fighters in Cameroon, Chad and Niger, and the group recently issued a video threatening Biya. The attack in Potiskum, the largest commercial center in Nigeria’s Yobe state, occurred at around 10 a.m. near a gasoline station, Channels Television said. There was no immediate claim of responsibility. The suicide bombing was the third such attack this month in Potiskum, and came as Boko Haram has escalated attacks and seized more territory in Nigeria’s northeast. On Jan. 3, the group swept into the Nigerian town of Baga, near Chad, for one of its most brazen assaults yet, overrunning a military base and killing hundreds of civilians over several days, according to witness accounts. The assault spurred further talk of organizing a multinational force to fight the rebels, though it does not appear imminent.